Community outreach, through health fairs, medical schools, universities and high schools. These directors are responsible for the integration of medical simulation into the health care system — not just the administrative duties within the simulation lab but also by working with departments throughout the hospital to set educational goals and objectives, identify knowledge gaps in training and identify latent patient-safety threats. Combining those responsibilities with a background in medical education, they then design a curriculum to target areas of need, and often participate in the training to provide expert debriefing to learners across the entire health system. Under the leadership of a simulation medical director, a simulation lab can provide more than training — it can identify process liabilities. As a result of their unique position in a health system, simulation medical directors have the ability to design and develop research around patient safety, medical errors, loss prevention and interprofessional education. 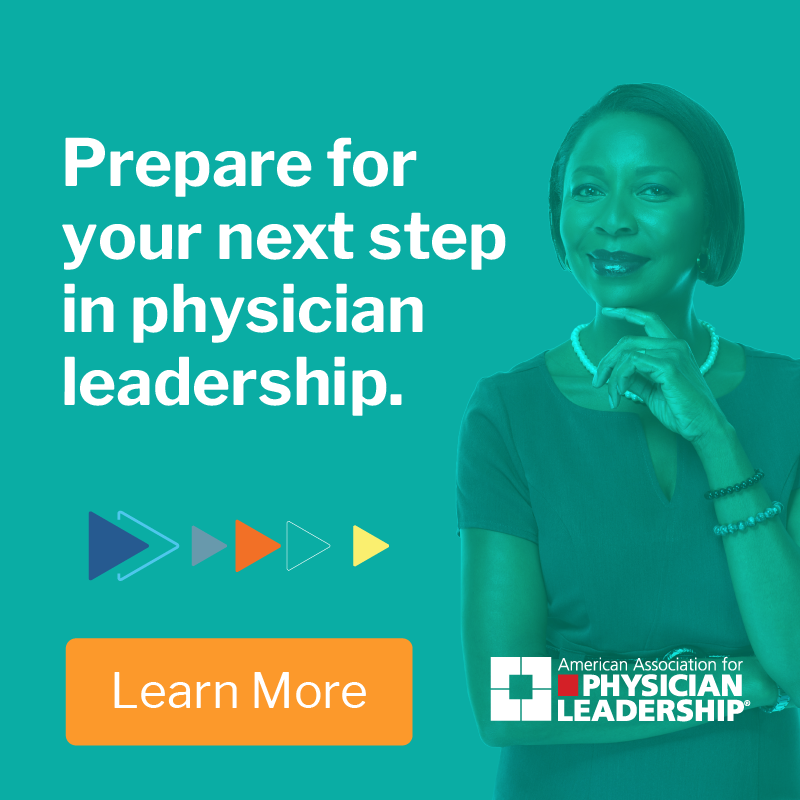 Health care organizations aim to provide a safe, effective, patient-centered, timely, efficient and equitable environment.6 Simulation medical directors help organizations reach those goals by leading the charge for continual improvement. One significant contribution they make is by helping identify systemic threats to patient safety. 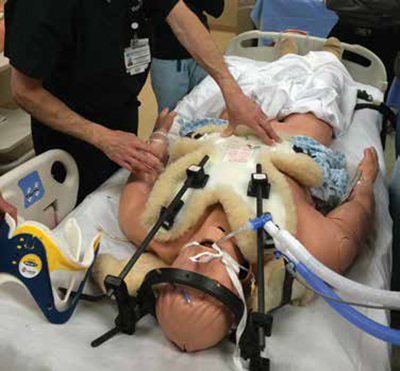 Hospitals have rarely used equipment and protocols for high-risk/low-frequency clinical presentations, so evaluating readiness and safety in these rare circumstances often can be accomplished with a simulation in the actual clinical environment. Lack of familiarity with rarely used equipment, such as rapid infusers, transvenous pacemakers and neonatal infant warmers for emergent delivery. Improperly stocked medications, such as epinephrine 1:10,000 vs. epinephrine 1:1,000. Pediatric scenarios in adult facilities or adult scenarios in pediatric facilities. Rarely used clinical protocols, such as malignant hyperthermia in an operating room. Patient-flow uncertainty, such as the shortest route to move critical patients between departments. Teamwork and communication deficits, such as crisis resource management for high-risk/low-frequency cases. Improper staffing, namely surge staffing for increased patient volume. Identifying the location of vital equipment in a new facility, including testing and locating equipment in a newly constructed emergency department before opening. During these simulations, directors closely observe the many interactions between staff and the execution of system protocols. These training exercises can lead to identification of expected and unexpected obstacles to providing patient care in the actual clinical environment. Those participating in the simulations can be debriefed on the spot to reinforce positive behavior and identify areas needing immediate improvement. Medical directors can — and logically should — follow up on specific simulations with reports to administrative leadership, identifying areas of strength and weakness. This naturally includes a separate section for the identification of latent patient safety threats requiring immediate attention. In addition, these reports include recommendations for corrective training and/or process improvement. Effective simulation medical directors function as process engineers, incorporating Lean Six Sigma strategies to improve team performance. Several simulation-based studies8,9,10 have identified significant system errors that were subsequently improved, preventing potentially serious complications. New protocols can be tested, issues identified, and continued training performed until competence is achieved and systems errors are resolved. Medical simulation directors can lead organizational change, systems integration, enhance patient safety and provide evidence-based educational strategies. Subsequently, many simulation directors have roles within patient safety because of their ability to work with interprofessional teams to expose potential system errors. By following an in situ exercise with reports to hospital administration, the simulation medical director is well-positioned to help correct and improve identified system deficiencies. Simulation directors can lead organizational change by identifying and rectifying systemic errors, reducing costs and ultimately improving health care delivery. Simulation and team training programs have been offered as part of a targeted risk management strategy, including malpractice premium reductions for participating providers.18,19 A review of obstetrical malpractice cases revealed teamwork failures significantly contributed to 43 percent of the cases.18 The amount of malpractice cases caused from teamwork failures lead to the creation of a simulation-based team training course for obstetricians within one system. Obstetricians who participated in the simulation training received a 10 percent malpractice credit, while anesthesiologists who completed similar training received a 19 percent.19 These efforts served to help improve patient safety and decrease medicolegal risk to the hospital. Firefighters and hazardous materials teams. Infectious disease personnel and public health officials. Tactical, military and security personnel. Community education outreach, such as skilled nursing facilities and non-tertiary hospitals. Sometimes, this training takes place outside of the simulation lab. The 2014 Ebola scare is a classic example. Simulation medical directors around the country found themselves working closely with disaster response teams to quickly set up training for proper wear and removal of protective equipment, testing the system by performing simulations that began out in the field with first responders, and transferring patients into various parts of the hospital for treatment and evaluation. The simulation directors were directly tasked with testing protocols and identifying areas of weakness before patients entered the health system. Another example is a mass-casualty exercise. Some of the components that can be evaluated by simulation personnel, acting in the role of a process engineer: personnel response from multiple departments, the emergency department’s ability to clear beds quickly in preparation for multiple victims simultaneously, the ability of hospital administration to make more inpatient beds available, and the availability of critical equipment and medication. Simulation medical directors who lead robust programs also can provide valuable recruiting and retention opportunities for large health systems. Medical simulation is one of the most popular new teaching methodologies in medical education today, and residency and fellowship programs at top academic health systems typically have sophisticated simulation labs that provide a cutting-edge educational environment. Many programs use such labs as recruiting tools — showcasing the resources available to potential residents and academic faculty. Touring these facilities is common. Additionally, quality simulation training promises to increases job satisfaction and confidence in one’s ability to perform clinically, leading to decreased turnover of personnel.20,21,22 Staff turnover is costly to any organization, and health systems are no exception. Developing an effective simulation-based orientation program can help them retain key employees familiar with institutional protocol and decrease the costs of hiring new ones. Rami A. Ahmed, DO, MHPE, FACEP, is professor of emergency medicine, medical simulation fellowship director and associate director of simulation at the Indiana University School of Interprofessional Education. Patrick Hughes, DO, MEHP, FACEP, FACOEP, is assistant professor of emergency medicine and simulation director at Florida Atlantic University in Boca Raton. With contributions from Jim Gordon, MD, MPA, FACEP, chief of medical simulation in emergency medicine and director of the learning laboratory at Massachusetts General Hospital in Boston. The Association of American Medical Colleges. Medical simulation in medical education: results of an AAMC survey. (2011). Accessed: December 1, 2015. Levine AI, DeMaria S, Schwartz AD, Sim AJ. The Comprehensive Textbook of Healthcare Simulation, 1st ed. New York: Springer, 2013. Ahmed RA, Frey J, Gardner A, Gordon JA, Yudkowsky R, Tekian A. Characteristics and core curricular elements of medical simulation fellowships in North America. Journal of Graduate Medical Education. May 2016 (In Press). Gardner AK, Ahmed RA, George RL, Frey JA. In situ simulation to assess workplace attitudes and effectiveness in a new facility. Simulation in Healthcare. 8(6):351-358, 2013. Kobayashi L, Shapiro MJ, Sucov A, Woolard R, Boss RM 3rd, Dunbar J, Sciamacco R, Karpik K, Jay G. Portable advanced medical simulation for new emergency department testing and orientation. Academic Emergency Medicine. 13(6):691-695, 2006. Crossing the Quality Chasm: A New Health System for the 21st Century. Washington, DC: National Academy Press, 2001. Wetzel EA, Lang TR, Pendergrass TL, Taylor RG, Geis GL. Identification of latent safety threats using high-fidelity simulation-based training with multidisciplinary neonatology teams. Joint Commission Journal on Quality and Patient Safety. 39(6):268-73, 2013. Geis GL, Pio B, Pendergrass TL, Moyer MR, Patterson MD. Simulation to assess the safety of new healthcare teams and new facilities. Simulation in Healthcare. 6(3):125-133, 2011. Hamman WR, Beaudin-Seiler BM, Beaubien JM, Gullickson AM, Orizondo-Korotko K, Fuqua W, Lammers R. Using in situ simulation to identify and resolve latent safety threats to patient safety: a case study involving operational changes in a labor and delivery ward. Quality Management in Health Care, 19(3):226-230, 2010. Wheeler DS, Geis G, Mack EH, LeMaster T, Patterson MD. High-reliability emergency response teams in the hospital: improving quality and safety using in situ simulation training. BMJ Quality & Safety. 22(6):507-514, 2013. Cohen ER, Feinglass J, Barsuk JH, Barbard C, O’Donnell A, McGaghie WC, Wayne DB. Cost savings from reduced catheter-related bloodstream infection after simulation-based education for residents in a medical intensive care unit. Simulation in Healthcare. 5(2):98-102, 2010. Wayne DB, Didwania A, Feinglass J, Fudala MJ, Barsuk JH, McGaghie WC. Simulation-based education improves quality of care during cardiac arrest team responses at an academic teaching hospital: a case-control study. 133(1):56-61, 2008. Draycott TJ, Crofts JF, Ash JP, Wilson LV, Yard E, Sibandia T, Whitelaw A. Improving neonatal outcome through practical shoulder dystocia training. Obstetrics and Gynecology. 112(1):14-20, 2008. Brock D, Abu-Rish E, Chiu CR, Hammer D, Wilson S, Vorvick L, Blondon K, Schaad D, Liner D, Zierler B. Interprofessional education in team communication: working together to improve patient safety. BMJ Quality & Safety. 22(5):414-423, 2013. King AE, Conrad M, Ahmed RA. Improving collaboration among medical, nursing, and respiratory therapy students through interprofessional simulation. Journal of Interprofessional Care. 27(3):269-271, 2013. Capella J, Smith S, Philp A, Putnam T, Gilbert C, Fry W, Harvey E, Wright A, Henderson K, Baker D, Ranson S, Remine S. Teamwork training improves the clinical care of trauma patients. Journal of Surgical Education. 67(6):439-443, 2010. Weaver SJ, Dy SM, Rosen MA. Team-training in healthcare: a narrative synthesis of the literature. BMJ Quality & Safety. 23(5):359-372, 2014. Hanscom R. Medical Simulation from an insurer’s perspective. Academic Emergency Medicine. 15(11):984-987, 2008. Gardner R, Waizer TB, Simon R, Raemer DB. Obstetric simulation as a risk control strategy: course design and evaluation. Simulation in Healthcare. 3(2):119-127, 2008. Ackermann AD, Kenny G, Walker C. Simulator programs for new nurses’ orientation: a retention strategy. Journal for nurses in staff development. 23(3):136-139, 2007. Cato DL, Murray M. Use of simulation in the intensive care unit. Critical Care Nursing Quarterly. 33(1):44-51, 2010. Byrd D, Mullen L, Renfro D, Harris TA. Implementing a Perioperative RN Training Program for Recent Graduates. AORN Journal. 102(3):236-240, 2015.